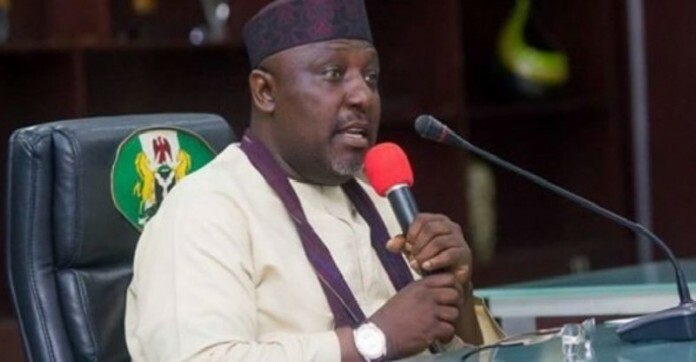 SAN FRANCISCO, September 12, (THEWILL) – Governor Rochas Okorocha of Imo State has relieved the Secretary to the Government of the state, Sir George Eche, and some members of his cabinet of their duties. The Chief Press Secretary to the governor, Sam Onwuemeodo, made this known in a statement issued on Wednesday at the Government House in Owerri, the state capital. The Chief of Staff to the governor, Uche Nwosu, as well as the Principal Secretary to the governor, Dr. Paschal Chigozie Obi, and the governor’s Deputy Chief of Staff (Operations), Kingsley Uju, were part of those relieved of their duties.